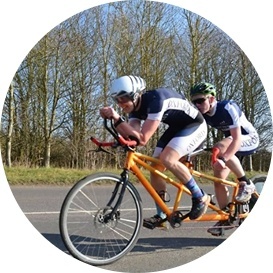 We're racing two four-man bikes 1024Km to raise money and awareness for two mental health charities. Check out our daily updates on YouTube. 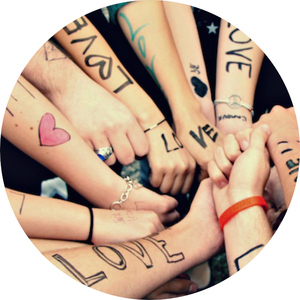 Donate to directly support TWLoHA and MHRUK! Team Canada are the most experienced quad tandem riders in the world. But four plucky young Brits hope to challenge the Canadian dominance of the quad tandem scene. It's the age old battle of youth versus experience - but this time on long, heavy, 4 seater bicycles… Check out the team pages to find out more. Three mental health charities - one from each nation involved. All the online proceeds are heading straight to the target charities, and they'll be using them to improve the lives of people in the UK, the US, Canada and around the world. Between fundamental research, help seeking and online resources, our three charities cover a range of mental health needs. Check out the cause pages to find out more. An ultra endurance stage race, for more than 1000 km down the Pacific coast. Up over mountains, and then terrifyingly back down them on machines weighing more than 800 lbs (360kg). 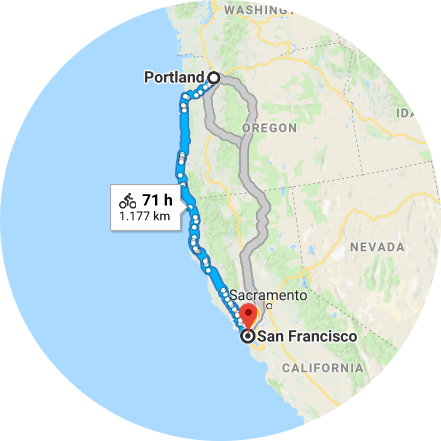 From the start line in Portland, Oregon all the way to San Francisco, California, it's going to be unmissable. Check out the race page to find out more. Follow us and share our posts on Facebook! And ideally customise the messages + comment on other shares too! If you want to be extra great, select individual friends and harrangue them over messenger into doing the same.